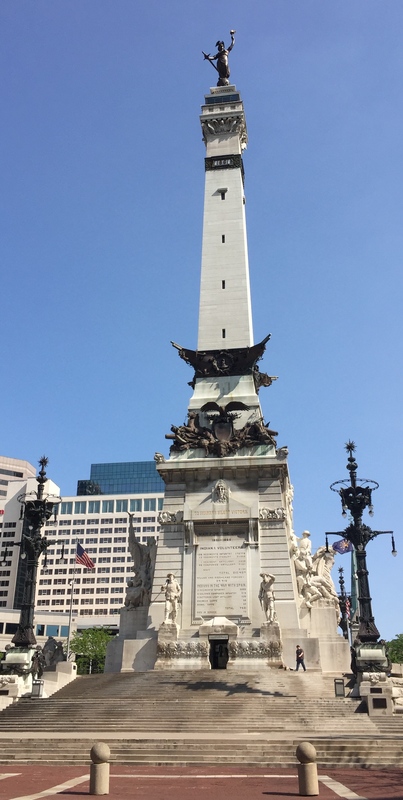 Last weekend I headed to Indianapolis, Indiana to run a half marathon – State #30 on the road to running in all 50 States. 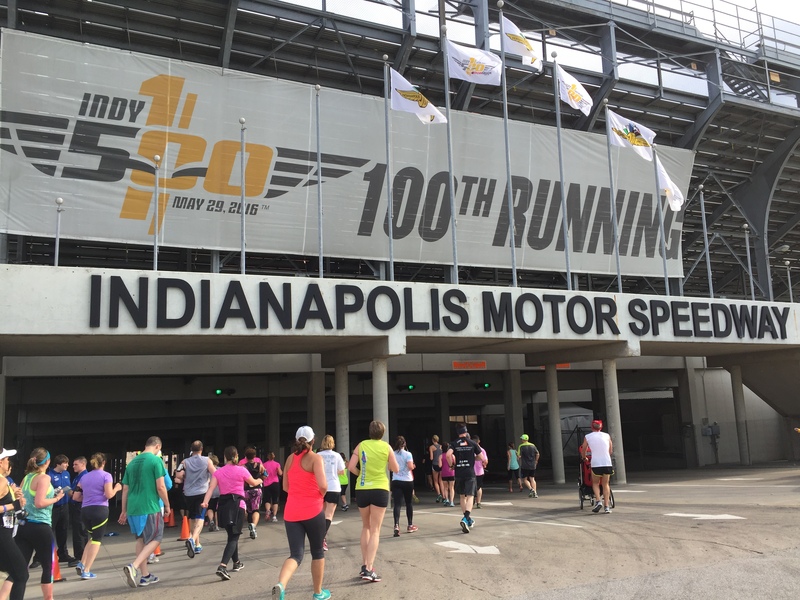 I picked this particular race – the Indy Mini Marathon – because the course included a lap on the Indianapolis Motor Speedway. There isn’t any other way I would be able to get on that iconic track and kiss the bricks. But that wasn’t going to be the most exciting part of the race. The race organizers had arranged for Meb Keflezighi to make an appearance at the Expo. On race morning, Meb was going to start the first two waves of runners before heading to the last corral and running the race himself. It would be a once-in-a-lifetime opportunity for amateur runners like myself to run with one of the most famous competitors in the running world. 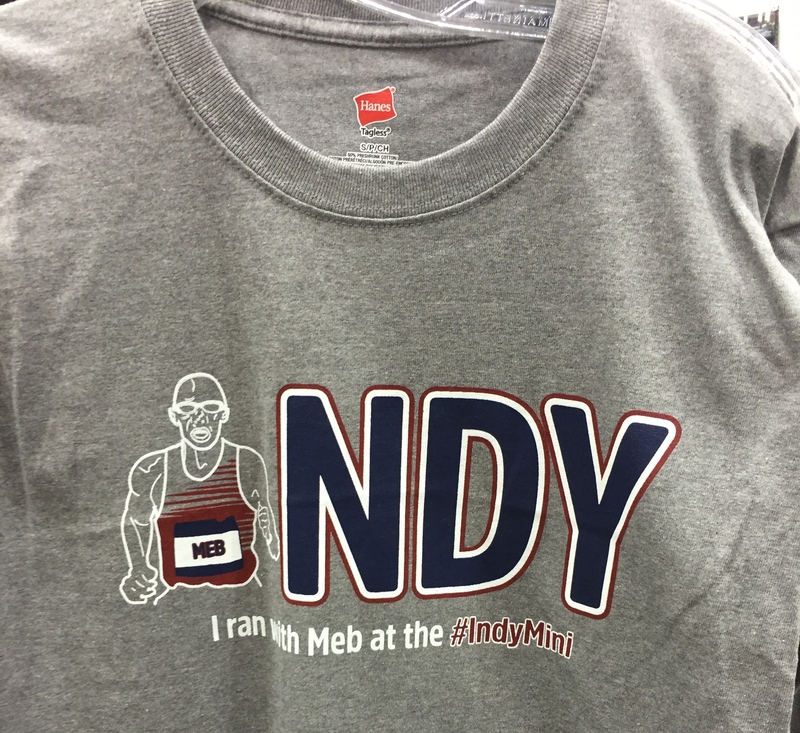 To make things more interesting, they had a contest where the participants in the Indy Mini Marathon were asked to predict how many people Meb would pass before he reached the finish line. The person who predicted the closest number received a free registration for next year’s race. It occurred to me when I got into my corral that I was going to be racing Meb. Well, it wasn’t actually racing. My corral started at 8:00 AM but Meb didn’t start running until after the last corral was off at 8:30 AM. It was more like Meb was giving me a 30-minute head start. Regardless, I was going to do my best to stay ahead of him. The course took us out of the downtown area towards the Indianapolis Motor Speedway. I think there was more on-course entertainment than any other race I have run. The Rock ’n’ Roll races claim to have entertainment every mile. This race seemed to have entertainment on every block. 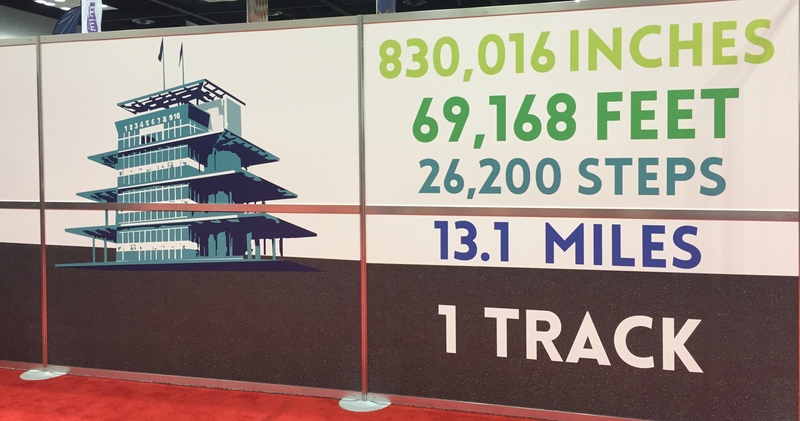 When I reached the Indianapolis Motor Speedway at Mile 5, I was stunned by the size of the grandstands. I later read that they have seating capacity for between 250,000 and 300,000 spectators. I did stop and kiss the bricks but only because I knew everyone would ask if I did. As I headed out of the speedway after Mile 8, it occurred to me that Meb hadn’t passed me yet. Good, I thought, I must be running pretty well. I was approaching the Mile 10 marker when I heard people yelling behind me “Meb’s coming! Meb’s coming!” I turned to see a group of runners in neon green singlets weaving through everyone on the course. Meb was in the middle of them. He was running with 5 very fast young men who had “Meb’s Crew” printed on the back of their singlets. Before I had a chance to pull out my camera, they had zoomed past me. I picked up my pace in a vain attempt to catch up to them. But my quads were still screaming at me from climbing the monument the day before and I couldn’t run fast enough. I later learned that Meb had stopped for selfies and high fives with the runners he passed. What a thrilling experience that must have been for them. As he approached the finish line, Meb grabbed the hand of a man running next to him. They crossed the finish line together, arms raised, in a scene reminiscent of his finish at the 2015 Boston Marathon when he did the same thing with Hilary Dionne. Oh, to have had that honor – I would have been over the moon. In case you were wondering, Meb passed 15,327 runners/walkers during his race (over 30,000 people were entered). I love Meb. I have been privileged to meet him twice, including the 2015 USA Half Marathon Invitational where I took a selfie with him at Mile 6. He is the most gracious, approachable professional athlete in any sport. He deserves all the praise and admiration that people bestow on him. Seeing him at the Expo and again during the race just made me admire him even more. ← Wow – They Did It Again!